Our reputation is built on providing the most professional, stress-free junk removal services in a fast, courteous and efficient manner. Book your no-obligation appointment online or call us at 1-888-979-5865. Our professional junk removal team confirms your scheduled 2-hour arrival window appointment 15 to 20 minutes before they arrive and offer same-day estimates or removal services. When the team arrives, simply tell them what needs to be removed and they will provide you with an all-inclusive price before removing any junk. The team removes and loads all the items you want removed into our truck. After the items have been removed, we finish the job by cleaning up the area of any debris. We process the junk before disposing anything at the land fill. The team will sort the items and donate or recycle everything on the truck! Payment is simple! We use secure, wireless payment terminals that accept visa, mastercard, cheque, debit and cash. You will receive a transaction receipt and invoice for your records. Appliances, refrigerators, fridges, mattresses, furniture, carpets, TV’s, tires, hot tubs, scrap metal, computers, electronics, wood, drywall, bricks, clothing, garbage, leafs, sheds, piano’s, construction debris, batteries and many, many more items! Computers, printers, monitors, furniture, desks, chairs, filing cabinets, cubicles, electronics, shelving units, forklifts, pallets, cardboard, construction debris and any other items in your office or warehouse! Pets, parents, children, grandparents or any other relatives! But seriously, we don’t take any toxic or hazardous waste materials. What are the advantages of hiring a waste removal company in Toronto as opposed to simply doing it myself? My old couch is still good. Is it possible to have a furniture removal company in Toronto donate it rather than throw it out? What kind of environmental considerations are there when it comes to appliance removal in Toronto? What is a disposal bin and why might I want to rent one in Toronto? What kind of junk do you remove? A loved one in Toronto has a hoarding problem but they’ve agreed to hire a junk removal company. How can I help make this easier for them? I have some old computers that need an e-waste removal service in Toronto. How can I protect any personal information that might be on the hard drives? Our parents recently sold their condo in Toronto. How can you help with the condo clean out? Are you able to help haul junk away from a demolition site in Toronto? What types of items are considered “specialty items” in junk removal in Toronto and can you accommodate them? Canada Junk is the country’s most exciting new removal company. Our reputation is built on providing the most professional junk removal services in a fast, courteous and efficient manner. We are 100% committed to donating and recycling all our reusable materials. As a socially responsible company, we work with charities and recycling facilities to help people in need and reduce the waste sent to landfills. We don’t stop here! 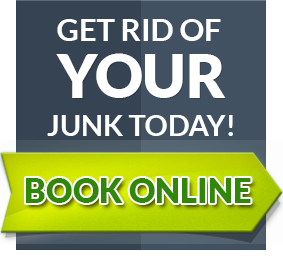 A portion of every dollar spent at Canada Junk Removal is donated to various local non-profit organizations. We believe in supporting our communities.